In the state of Florida, personal injury protection (PIP) insurance is a requirement. It is designed to hold at-fault parties in an accident responsible and protect anyone that sustains injuries. However, reform for auto insurance policies is being sought, and insurers are fighting back against the changes. Lawmakers are fighting to repeal PIP and replace it with at-fault coverage. PIP was designed with the belief that there were too many car accidents and that liability should be removed from automobile accident equations and be replaced with a no-fault system. 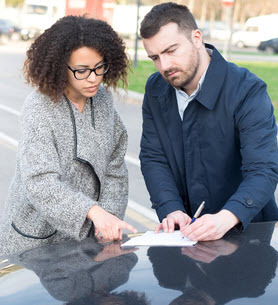 The idea was that in the event of a car accident, determining fault wouldn’t be as complicated and the no-fault insurance, or PIP, would pay the claim. Florida is one of ten states that have PIP coverage. In Florida, the limit for PIP coverage is $10,000, which can be a problem considering that if the insurer is required to pay, there is often a gap between what the injured party is awarded and what the PIP coverage actually is. Trying to determine who will pay the difference has been an issue. Medical Costs – Most medical expenses will be included in PIP coverage unless it is not a widely accepted practice such as acupuncture. Lost Wages – Florida PIP will cover 60 percent of your lost wages up to $10,000. This includes services for chores like cleaning the house, doing laundry, etc. Death Benefits – If the policyholder dies in the accident, PIP will pay for funeral expenses up to $5,000. What makes Florida PIP insurance distinct is that PIP insurance will only pay for 80 percent of medical expenses. This means that if your injuries cost $10,000, PIP coverage will only pay for $8,000. If your injury isn’t an emergency, you will only be able to claim $2,500 in benefits. Florida has very strict rules when it comes to filing a PIP claim. The most important is that treatment for your injuries must occur within two weeks of your accident. Your insurance may investigate your claim for up to 60 days but must pay for the claim within 30 days even if they believe your claim to be false. If your case is complex, it is a good idea to discuss your situation with a personal injury lawyer. For the lost wages benefit, you must submit a verification of wage and salary completed by your employer. An attorney can make sure your employer fills out the verification correctly and in a timely manner. While PIP coverage was put into place to reduce the number of lawsuits arising from car accidents, those injured in an accident can still sue if the injuries are considered to be permanent, disfiguring, or resulted in death. The law also allows you to sue if the injuries aren’t as severe but the medical expenses exceed $10,000. You may also sue for emotional pain and suffering. If you have been the victim of a car accident, consult with an experienced Boca Raton personal injury attorney at the Leifer Law Firm. We have over 25 years of experience fighting for the rights of victims just like you.